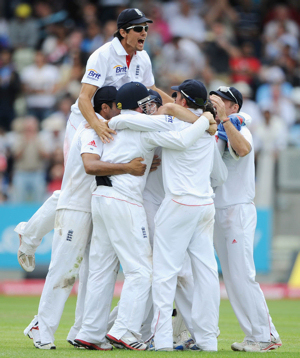 England win the first Test to take a 1-0 lead. 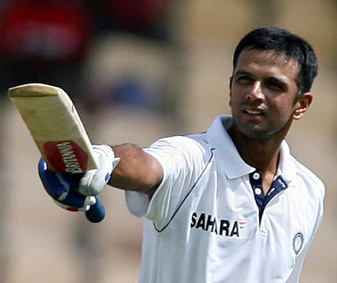 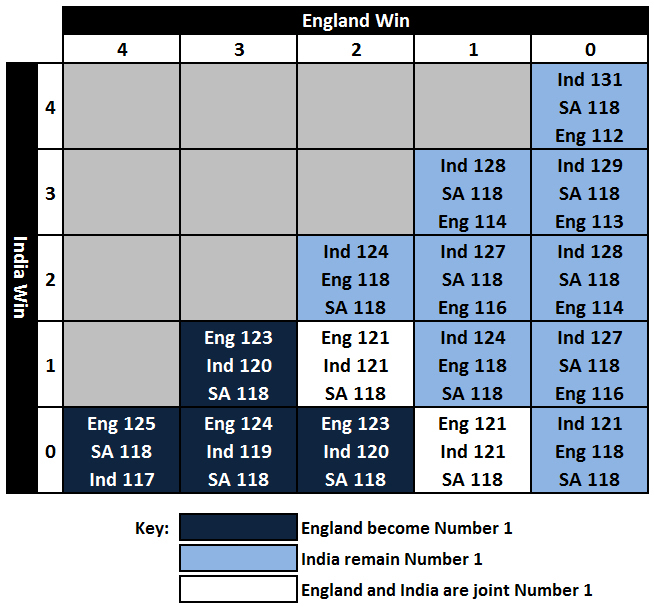 England aren’t officially crowned as #1 Test team until the end of the series – the final match at The Oval in South London starts on 18th August 2011 – but at 3-0, England are already assured of winning their clash with India by the requisite margin of two matches. 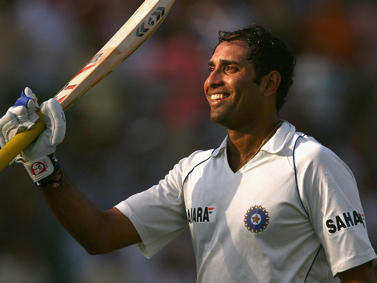 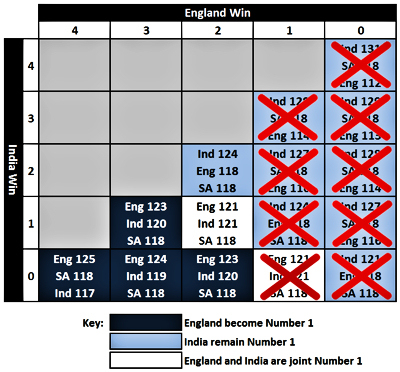 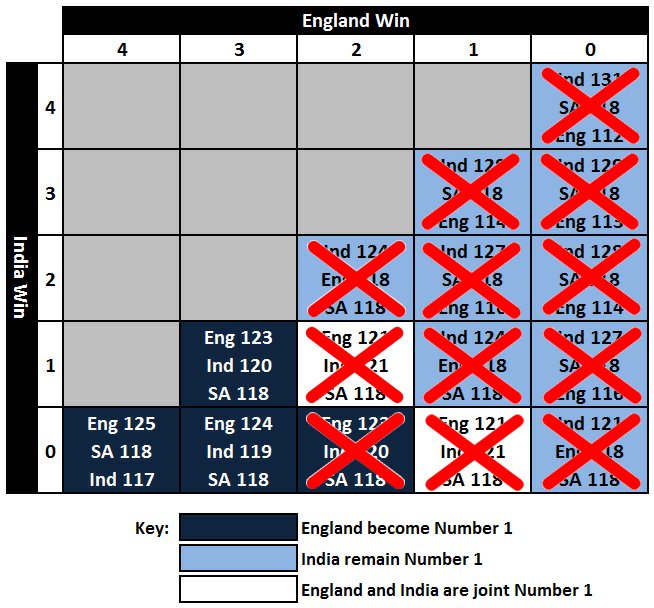 Given this Ajay (@0_h_r_1) has been gracious enough to honour the wager and has already posted his concession article: England rule India – again.